OUR PROJECTS AND AWARDS - Brooks Construction Company, Inc.
Brooks Construction Company is simply the BEST. From multimillion dollar state highway reconstruction projects to commercial parking lots to intricate custom concrete work, what sets us apart from the competition? OUR EMPLOYEES. Conscientious, dedicated, experienced, and professional. These are just a few of the words that can be used to describe the people that delivery the quality our customers have come to expect from Brooks Construction. Thousands of jobs are completed every year. Each job completed carries the same seal of approval...a satisfied customer. Annually, Brooks Construction is recognized by local, state and national agencies for exemplary quality. Additionally, when entering a Brooks Construction Company work zone you will notice that SAFETY is our 1st priority. Safety of you, your passengers, and our employees is of the utmost importance. Please slow down and pay extra attention in work zones. 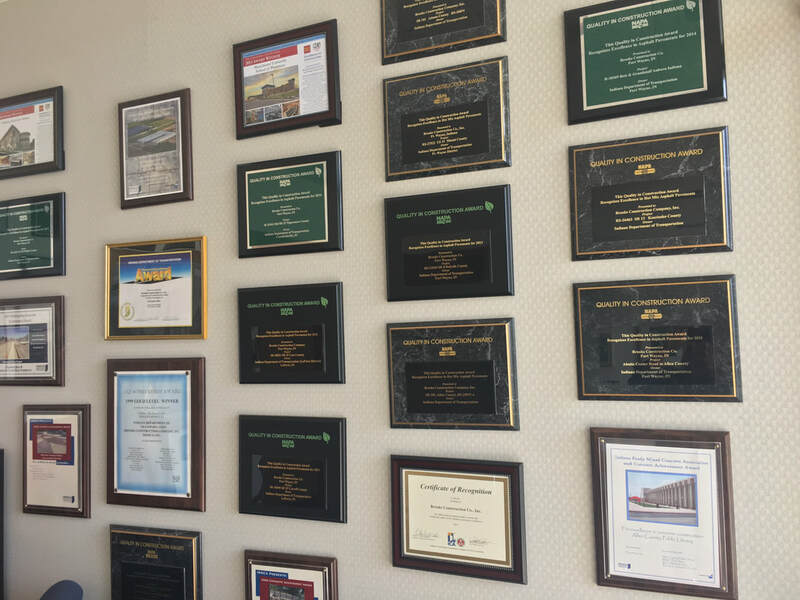 Not only do we do quality work, but we have won numerous awards for our projects over the years. Browse through our slide show of project photos to see how our quality, safety, and employees come together to result in a satisfied customer every time!